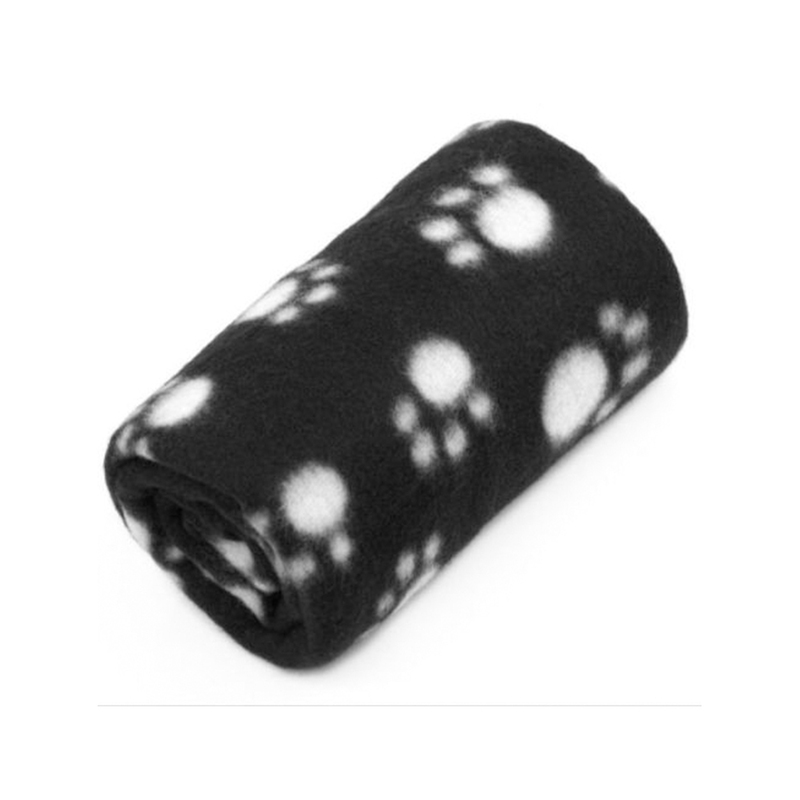 This small black paw print dog blanket is the perfect way to make your dog's bed cosy. This blanket is the perfect accessory to help keep your dog cosy and make their bed extremely cosy. The blanket is 65 x 50cm and looks amazing as it contains a paw print design. This blanket is made to a very high quality and the paw print design definitely makes this blanket adorable.